From tandem skydiving to Segway rally or from supercar racing to aqua zorbing - why not treat your dad to an adventurous experience that he will remember and treasure always. Father's Day is this Sunday and if you have still not picked up a gift for him or are looking for something unique and different from the usual gifts, then there are some really awesome experiences you can gift. 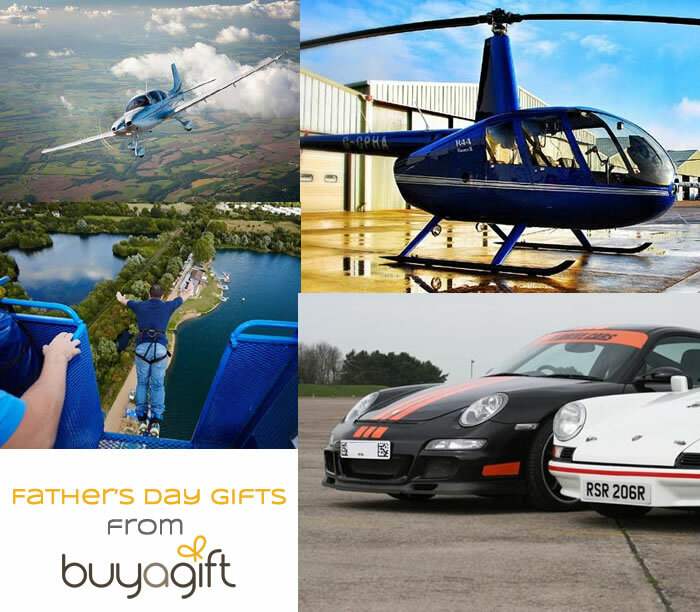 Buyagift.co.uk have a number of activities and experiences that are sure to bring a smile on your father's face. While all the activities on offer on the website may not be suited for all, but there is something for everyone. Here are some of my top picks from Buyagift.co.uk. Tandem Skydiving - If your dad is an adrenaline junkie, then this experience would make a wonderful gift for him. Imagine the adrenaline rush as one jumps out of the aeroplane at around 7000 feet. What an amazing feeling it must be! Tandem Skydiving is available across several different locations in the UK and is conducted after full safety and orientation briefing by highly trained instructors. Bungee Jumping - Another thrilling and popular activity is bungee jumping. If your dad loves trying out new and challenging things then this experience fits the bill. While the activity is available at several locations, the experience can be enjoyed in London as well with the O2 Arena as the background. Flying Lessons - Have you ever wanted to take control of an aeroplane yourself? I have wanted to and so has Mr.H. Buyagift.co.uk offers just the right opportunity for anyone looking to learn to fly. From 30 minute introductory lessons to a full 60 minute flying course, they have got flying lessons to suit all budgets. With flight courses across the UK and a CAA approved instructor helping you out, this is one exhilarating experience not to be missed. Mr.H has been booked in for a flying lesson via Buyagift.co.uk and is looking forward to it. His booking is in July, so I will do a detailed post next month. There are other adrenaline pumping activities like supercar racing, parachuting, fly boarding, helicopter lessons, hot air ballooning, Segway rally and much more. Do check out the Buyagift.co.uk website for all the experiences on offer. And do let me know (via comments) which experience your dad would enjoy.